The conditions of late modernity have resulted in a convergence in history, environmental violence, economic injustice, political bankruptcy, resurgent religious fundamentalism, technological change and philosophical confusion. This moment places before us two possible routes into the future. The individual, every one of us, is faced with the choice between loss and alienation on the one hand (the future is an intensified and colonised extension of the present malaise) or a reclamation of self and spirit on the other (the future is an open and creative counter to present hubris). This convergence has created the conditions for the emergence of a neohumanist sensibility; we live at a moment in time that not just necessitates a deepening of human awareness but also validates it (2006, p.40). This, in short, is a moment of both reflection and action. We need to reflect on what it is that makes us human and also act in accordance with our conclusion. The modern vision of the human is as a self-actualising individual – a person who makes their way through the world and finds meaning from overcoming obstacles and in being useful and busy. The measures for recognising success accompanying this model have been material security, self-esteem and some level of autonomy vis-à-vis the collective. Such a model of the human being is high on action and low on reflection. This model has generated the immense energy of the modern period; affluence and influence are the hallmarks of our time. However, this model has not been evenly distributed across the planet and has generally followed the zero sum formula which states that ‘My affluence and Influence is predicated on a reduction of such in an Other’. Educationally, the implications have led to knowledge being treated as a commodity to be acquired, managed and stored. Hence, security, self-esteem and autonomy is gained through having a sound store of knowledge and the skills needed to apply it in the world. This model privileges competition and exclusivity, control and authority. Action, however, without the requisite reflection becomes compulsive. Neohumanism seeks to redress this imbalance. It offers a vision of the human as a self-realising relational being that is collaborative and inclusive. It recognises the relational nature of being in which a person consciously co-creates their life pathway. The measures for recognising success accompanying this model are a deep sense of security, the radius of our love for all creation, and a growing desire to serve creation. The neohumanist model balances reflection with action: it is a meditative engagement with life. This model has always run concurrently with the dominant modernist model but has been undervalued and often overlooked as it does not reflect dominant values. Neohumanism offers us a participatory process for developing inclusive culture. It is alive to injustice, exploitation and sectarianism in which peoples and their actions are cut off from the world and separated into interest groups. Neohumanism therefore rejects the zero sum formula and offers instead a win-win formula that states ‘My wellbeing and fulfilment is predicated on the wellbeing and fulfilment of my fellow travellers in this world’. Educationally, neohumanism promotes learning that is open ended and fulfilling. Knowledge is not compartmentalised and stored but operationalised and shared. Knowledge is linked to love and service and grows out of context. Our sense of security, the radius of our love, and a growing desire to serve creation are bolstered by our sense of being in community as learners, so that the alienation of the Modern is replaced with a sense of belonging in and to the world. Our purpose cannot be measured via competition and superiority but by our capacity to give and nurture the creative heart of our relationships with all beings animate and inanimate. This new model of human possibility is why P.R. Sarkar called it ‘Neohumanism’. The ‘new human’ calls for a new educational process, one that fosters universalism in the hearts of humanity. This universalism requires a new set of tools: ones that enable human connection, wisdom beyond the local, knowledge at the service of the planet, empathy, trust, inclusivity and creativity. Just as the Humanists of the European Renaissance insisted on a revolution in education – one that would create a wise human (homo sapiens); just as the industrialists and utopians of nineteenth century Britain insisted on a revolution in education to create a clever worker (homo laborans); so today, as the conditions for a global crisis of conscience and consciousness converge, we can insist as Neohumanists on an educational revolution that will create the relational human (perhaps homo cognatus?). We want to view spirituality as a way of giving meaning to our ‘being here’ in ways that move us beyond the idea of the autonomous self (an idea that has been pervasive in the modernist era) and allow us to see ourselves as inseparable from everyone and everything else (2002, p. 3). The real meaning of education is trilateral development – simultaneous development in the physical, mental and spiritual realms of human existence. This development should enhance the integration of the human personality. By this, dormant human potentialities will be awakened and put to proper use. Educated are those who have learned much, remembered much and made use of their learning in practical life (1998, p. 111). Figure 1 Our Multiple SelvesNeohumanist education therefore prepares us for a life of learning, becoming and co-creation in which we are alive to the world in all its richness and wonder. The physical, the mental and the spiritual grow together, in a pedagogy of love. The wonder of being human is that we are multiple beings in the one skin! This multiplicity, as expressed in Figure 1, is what informs the neohumanist educational vision. The Neohumanist Moment makes it clear to us that new methods, priorities, tools and dreams are being called forth because, as the recently acknowledged Nobel Laureate Bob Dylan once said: ‘The times they are a changing’. Welcome to postnormal times. It’s a time when little out there can be trusted or gives us confidence. The espiritu del tiempo, the spirit of our age, is characterised by uncertainty, rapid change, realignment of power, upheaval and chaotic behaviour. We live in an in-between period where old orthodoxies are dying, new ones have yet to be born, and very few things seem to make sense. Ours is a transitional age, a time without the confidence that we can return to any past we have known and with no confidence in any path to a desirable, attainable or sustainable future (2010, p. 435). Postnormality is definitional of the neohumanist moment. One in which a new sense of human possibility begins to emerge. Like all shifts in identity this one can be understood evolutionarily. Evolutionary change occurs when an organism faces a change in the environment that poses a challenge. Usually this change is a physical mutation that selects the organism for success. Cultural systems however evolve by adjusting culturally to changes in the environment. When competition and voracious growth cease to produce optimal conditions for our culture, when everything begins to appear postnormal, then culture will be forced to adjust. Such adjustments occur in one of two ways as culture offers two possible responses to change. 1. Culture, as an evolutionary adaptation to threats from the environments of early hominids, will often recoil and seek to institute and amplify cultural practices that once worked to ensure security and identity. This response leads to fundamentalism, authoritarianism and deep conservatism. Pessimism, anger and egocentricism are the result and violence often ensues. 2. Culture, however is also an evolutionary adaptation to threats from the environment of early hominids which fosters innovation. The great transitions in human evolution and history have all been innovations that result in cultural mutations. Sardar and his colleague John Sweeney calls this ‘global weirding’ (2016) – the appearance of many strange cultural variations seeking to find a way forward (rather than backward). This response leads to cultural experimentation, restlessness, risk-taking, optimism and visioning. The outcome is unpredictable of course as it is the co-creative process that counts. This is why says we are in a transitional age. …our imaginations are conflicted as we are faced with fears and sometimes overwhelmingly complex social and, indeed, global challenges. In times when we are overburdened with ‘busy-ness’, many of us are pulled between desires, on the one hand, for social responsibility and action and, on the other hand, for denial, escape, and retreat in pursuit of our own happiness and liberty (2008, p. 58). Eppert’s solution is to rise to the challenge by bringing spirituality into our conversations about the futures of education. She takes a Buddhist view, Kesson, cited earlier, suggests Tantra (Kesson, 2002), and many others offer a range of positions drawing on spiritual traditions (Gallegos Nava, 2001; Inayatullah, 2006; Nakagawa, 2000; Oldenski, 2002; Parker J Palmer, 1993; Parker J. Palmer, 1998; Ziauddin Sardar, 1985; Smith, 1999). Secular positions also abound that honour the spirit and find in spirituality an ecological and environmental way forward (Jardine, 2000; Miller, 2000; Orr, 2002; Tacey, 2015; Wexler, 2000). I feel uncomfortable with such categories as the binary spirit/secular is, from a neohumanist perspective, unhelpful, even distracting. Suffice it to say that our collective futures are shaped by collective visions of what our many futures might entail. The imaginative resources of each of us is informed by our cultural traditions – intellectual, cultural and personal. It is worth thinking of these as constellations of heritage futures (Bussey, 2015) that offer rich resources, acting as enabling traditions, but paradoxically always coming with limits in terms of toxic and divisive, sectarian assumptions about the order of things. Enabling and limiting cultural forces are in fact versions of Culture 1 and Culture 2 described above. The conflicted imaginations Eppert mentions are struggling to process the contradictory messages produced by the tug-of-war between the two. What is needed is a compass, a map of human potentiality that somehow bridges the merits of both, parring away what is unnecessary and growing new futures. Spirituality offers such a compass by emphasising the relational, the participatory and the co-creative. These are under-utilised resources in modern education which has privileged separation via analysis, competition over cooperation and individual creativity over co-creativity. My advocacy for a Neohumanist Moment is precisely because we need to deploy this compass, this spiritual and relational sensibility, to enable the emergent possibilities before us of a healthier culture, a healthier planet. The future stretches before us in this moment. It is not an empty space however. The future is rich with our cultural imaginings, it is replete with our hopes and many surprises; it is also populated with the ghosts of the past – the fears, the hurts, the collective wounds that crowd our history books and fill the many hours of news coverage. The future is definitely a mixed bag! Introducing the spiritual to constructive discourse on the futures calling to us and to the ways in which education can be reimagined to support these futures is an important step. Holistic education with its varied genealogies including Montessori, Steiner, Freire and A.S. Neill and the open schooling movement, was always challenging industrial education across the twentieth century. It was always presenting alternative futures to the dominant narratives. Subtlety, hope and trust in the child were central to such approaches. Critical pedagogies evolved and advocated on behalf of the down trodden and also for environmental and social alternatives (Giroux, 1988; McLaren, 1994; Orr, 2002). Spirituality was one element in this alternative discourse. Spiritually focused education prepares and opens us to our many futures, it takes us to the next step of holism by inviting in an expanded awareness of the human as a physical being, an intelligent being and also a spiritual being. Spirituality has its own epistemology, it offers its own empirical resources and its own tools for knowing, legitimate knowing, the world and its possibilities. Neohumanism as a spiritual philosophy combines the vision of a relational humanity with the ethical force that relationality demands and offers a critical spirituality of world engagement (Bussey, 2000). Finally, it should be noted that Neohumanism is a specific intercultural process that fuses the humanist aspirations, along with its epistemic processes, with Eastern meditative processes rooted in Tantra (Bussey, 1998). If we are to have a coherent revolution in education – one that galvanises human potential and addresses the big questions before humanity, I would hope it were a neohumanist revolution. Revolutions are all about timing. Timing is everything and this Neohumanist Moment is a call to action on the part of planetary futures. No one is going to do this work if we do not start. It is important to understand that those of us who recognise this moment must act upon it. To run scenarios of how this moment will play out we can consider at least four possibilities as representative of our futures on this planet (Dator, 2002). Scenarios can be deep and rich, fleshed out with all kinds of detail. Those that follow however are simple thought exercises in which the inner logic of a possible future-world is sketched with minimal detail. 1. Business as usual basically assumes that tomorrow will be much as today and that 50 years hence the world will be crowded but clever people will have solved the most pressing problems and that we will have adapted within the parameters imposed upon us by nature and global social processes. This is basically a ‘Back to the Future’ scenario. In this scenario schools and universities will have honed their strengths and developed curriculum that maintains current global and local values whilst generating sustainable mindsets. 2. Collapse is always popular especially with Hollywood. Essentially we hit a wall and come undone. Population collapses, as does rule of law and the economy. This is the dystopia future we all fear. Schools and universities will, if they exist, be fortresses supply elite groups with specialised knowledge and crowd controlling as best as they can – there will not be much difference between them and a prison. 3. Disciplined society offers us an image of the future in which strong conservative forces control populations and keep them within sustainable/stable limits. Physical limits will be a key determinant in ordering such a future; political control and a tight management of thoughts will also ensure that limits are enforced and valued as definitional of human beings. Schools and universities in this scenario would be complicit in maintaining ideological commitment to the maintenance of limits and the inner discipline this scenario calls for. 4. Transformation is socially the most expansive. This future would embrace human potentially and foster the neohumanist vision of self-realisation and service. The basic equation for understanding the Self would have altered and include the relational and the inner as key elements of our identity. Schools and universities in this scenario would have shifted their priorities and also practices. Local educational traditions would be honoured along with global standards of best practice invoked and maintained. Such scenarios are designed to provoke us. They suggest coordinates ‘out there’ in the future. None are true or false. Futures thinking itself is an invitation to creatively engage with the present on behalf of the future. Certainly the planet and its diverse family need advocates who can act on behalf of richer visions than the business as usual, collapse and disciplined scenarios presented here. Transformation is a calling, a way of thinking-doing-being that mobilises human potential. Education as a social project is always a site of contestation as various aspirations pull us in different directions. Our responses need not be monolithic or hegemonic. The one-size-fits-all approach currently dominating the global educational experiment does not work. We need local-global conversations that generate relevant and open-ended responses to the evolutionary pressures humanity is currently experiencing. Evolution itself is a blind force that simply explores possibility. Humanity, once culture emerged, and really it is not possible to think of humanity without culture, began to engage with evolution and co-create new forms of being in the world. The Neohumanist Moment is an invitation, a calling, to embrace the transformative cultural possibilities before us and once again, as we have so often done into the past, leap into the future in order to discover something new, even better, about ourselves. Bussey, M. (1998). Tantra as Episteme: a pedagogy of the future. Futures, 30(7), 705-716. Bussey, M. (2000). Critical Spirituality: Neo Humanism as Method. Journal of Futures Studies, 5(2), 21-35. Bussey, M. (2006). 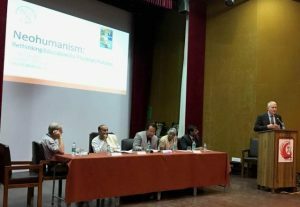 Critical Spirituality: Towards a Revitalised Humanity. Journal of Futures Studies, 10(4), 39-44. (Vol. 1, pp. 77-104). Maleny, Australia: Proutist Universal. Bussey, M. (2014). Concepts and Effects: ordering and practice in foresight. foresight, 16(1), 1-16. Honour of Dennis Reginald O’Hoy (pp. 128-140). Kennington, Vic: Holland Press. Bussey, M. (2016). The Hidden Curriculum of Futures Studies: Introducing the Futures Senses. World Futures Review, 8(1), 39-45. Higher Education (pp. 1-33). Westort, Connecticut: Praeger. Eppert, C., and Wang Hongyu (Ed.) (2008). Cross-Cultural Studies in Curriculum: Eastern Thought, Educational Insights. London and New York: Routledge. Gallegos Nava, R. (2001). Holistic Education: Pedagogy of Universal Love (Vol. 5). Brandon, VT: Foundation for Educational Renewal. Giroux, H. A. (1988). Teachers as Intellectuals: Toward a Critical Pedagogy of Learning. New York: Bergin & Garvey. Inayatullah, S., Bussey, M., & Milojevic, I (Ed.) (2006). 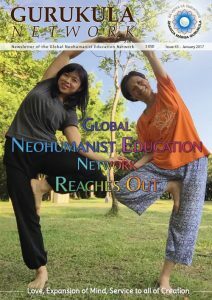 Neohumanist Educational Futures: Liberating the Pedagogical Intellect. Taipei:Taiwan:Tamkang Univ. Press. Jardine, D. (2000). Under the Tough Old Stars: Ecopedagogical Essays. Brandon, VT: Holistic Education Press. Yearning: The journey of the spirit and democratic education (pp. 46-70). New York: Peter Lang. McLaren, P. (1994). Critical Pedagogy and Predatory Culture : oppositional politics in a postmodern era London & New York: Routledge. Miller, R. (2000). Caring for New Life: Essays on Holistic Education (Vol. 1). Brandon, VT.: Foundation for Educational Rebewal. Nakagawa, Y. (2000). 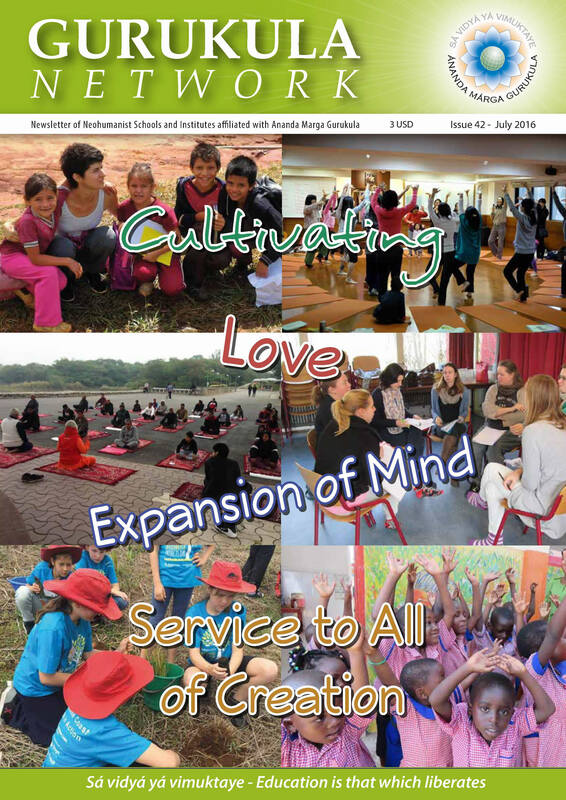 Education for Awakening: An Eastern Approach to Holistic Education. Brandon, Vermony: Foundation for Educational Renewal. Yearning: The Journey of the Spirit and emocratic Education (pp. 1-9). New York: Peter Lang. Orr, D. (2002). The Nature of Design: Ecology, Culture and Human Intention. Oxford: Oxford University Press. Palmer, P. J. (1993). To Know as We are Known: Education as a Spiritual Journey. SanFrancisco: Harper. Runia, E. (2010). Into cleanness leaping: the vertiginous urge to commit history. History and Theory, 49(1), 1-20. Sardar, Z. (1985). Islamic Futures: The Shape of Ideas to Come. London: Mansell. Sardar, Z. (2010). Welcome to Postnormal Times. Futures, 42(5), 435-444. Sardar, Z., and Sweeney, John A. (2016). The Three Tomorrows of Postnormal Times. Futures, 75, 1-13. Sarkar, P. R. (1998). Discourses on Neohumanist Education. Calcutta: Ananda Marga Publications. Smith, D. G. (1999). Pedagon: Human Sciences, Pedagogy and Culture. New York: Peter Lang. Tacey, D. (2015). Beyond Literal Belief: Religion as Metaphor. Melbourne: Garratt Publishing. Wexler, P. (2000). Mystical Society: an Emerging Social Vision. Boulder, Colorado: Westview Press.